A [PDF version of this article] appears in the October 28, 2016 issue of Executive Intelligence Review. and is re-published here with permission. The New Silk Road policy initiated three years ago by Chinese President Xi Jinping offers tremendous opportunities for Europe to overcome the several existential crises it faces, and join the overall dynamic for development sweeping over Asia and a majority of underdeveloped countries. That potential, however, is not properly recognized in the trans-Atlantic world, where the strategic realignment underway is usually presented in the media as a danger. The opportunities for cooperation in the grand design are there to be seized, but Europe has scarcely done so, which is why the Schiller Institute (SI) decided to organize two more conferences on the New Silk Road theme in two crucial cities in Europe: Lyon, in France, which was the historical terminus of the ancient Silk Road, and has just recently become the terminus for the first cargo train from Wuhan travelling on the “Iron Silk Road,”— and Essen, in the Ruhr area of Germany, very near Duisburg, which is the first stop of that same railway, as well as being Europe’s largest inland port. The conference in Lyon, on Oct. 19, was co-organized by the Club China EM Lyon FOREVER, an alumni association of the Lyon Ecole de Management (EM), a prestigious national business school which also runs a campus in Shanghai. In Essen on Oct. 21, the Schiller Institute was honored to welcome as a speaker the chargé d’affaires of the Chinese Embassy in Berlin, Zhang Junhui, who presented the progress of the New Silk Road and the Chinese government’s wish for greater economic cooperation with Germany, both countries being the largest economies on the two ends of the Silk Road. From left to right: Professors Reinhart Poplawe and Dieter Ameling, Helga Zepp-LaRouche, Professor Shi Ze, and translator. The conference was opened by Helga Zepp-LaRouche, and also heard later from French presidential candidate Jacques Cheminade of the Schiller Institute, who both stressed that Europe needs to reject imperialism and geopolitics, and that France and Germany should return to the tradition and economic policy of de Gaulle and Adenauer, which put an end to centuries of strife and warfare, by focussing on the mutual benefits of cooperation. Over the course of the discussion, it became clear that the mission Europe must take up today, is to help ensure the development of Africa, in combination with China. Zepp-LaRouche stressed that the German small and middle-sized companies (Mittelstand) above all can greatly benefit from cooperation with the One Belt, One Road policy, since these are the enterprises that bring the most innovation into the economy. Presentations from German experts in technological and industrial/infrastructure fields made clear why Germany must remain an industrial nation, and a leader in the field of science and innovation. The disastrous effects of the deindustrialization policy and lack of investment in infrastructure were underscored. In opening the conference in Essen, Helga Zepp-LaRouche presented an overview of the dangers confronting the world today, but also the very real possibility of opting for a completely new paradigm, as originally proposed by President Xi Jinping and endorsed since then by a growing number of countries. The New Silk Road is the greatest program of industrial and infrastructure development that has ever existed on the planet, she said, and Europe must not miss the chance of being part of it. 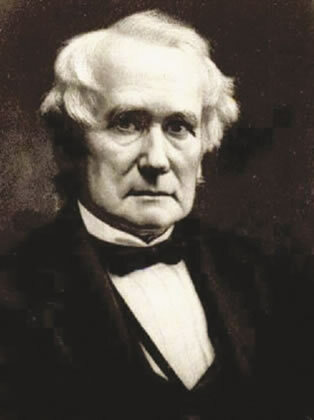 In fact, the “economic miracle” that China has created in the past 40 years is based on the same principles of physical economy that Germany used in the post-war period to carry out the German economic miracle, and which go back to Alexander Hamilton, Friedrich List, Mathew and Henry Carey, etc. These principles are reflected in the fact that China has managed, over the recent period, to lift 700 million people out of poverty. The New Silk Road, Zepp-LaRouche stressed both in Lyon and Essen, is not just a string of isolated transport projects, one after the other, but infrastructure which transforms and raises the platform of the entire national economy of the countries affected, including those in Central Asia which are now landlocked. 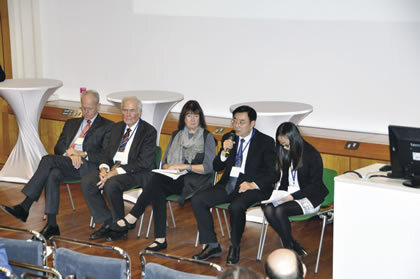 Professor Shi Ze of the Chinese Institute for International Studies was a featured speaker in both Lyon and Essen. The New Silk Road, he stressed, is an open and all-inclusive policy which all countries are welcome to join, including all those in Europe. It is no longer just a concept, as first announced by Chinese President Xi Jinping; it is being put into place right now. It is based on the idea of “harmony in diversity,” i.e. cooperation among different cultures and civilizations to their “mutual” interest. Shi, who has closely worked with the SI over the past few years in Europe and in China, heartily thanked the Institute for its efforts to promote the Silk Road policy and a dialogue of cultures. Cheminade painted a devastating picture of the effects of the EU policy, contrasting it to the approach of the SI. He also called for the rights of all refugees in the EU to be protected. On the cultural level, Zepp-LaRouche insisted on the convergence of the Confucian tradition in China, which is now being actively revived, with the high points of culture in Europe, as exemplified by Nicholas of Cusa, and on the need to establish multilateral relations on such a level, far from the confrontationist approach that prevails today. The reality on the ground in Africa and the relevance of China’s “One Belt, One Road” policy to Ethiopia and by extension to the entire continent, were presented in Essen by the Ethiopian Consul General in Frankfurt, Mehreteab Mulugeta Haile. He gave a comprehensive overview of the economic development policy, driven by infrastructure, which his country has implemented over the past 25 years, with striking successes. China has extended crucial assistance to Ethiopia, including in the form of low-interest loans. Thanks to Chinese companies and agreements, the first ever railway linking Addis Abeba, the capital of the country, to the port of Djibouti, was opened on Oct. 5, shortening the delivery of Ethiopian maritime imports and exports from seven days to ten hours. 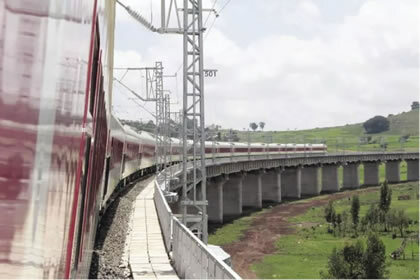 This is just the first leg of a nation-wide rail network that is to connect Ethiopia with all of its neighboring countries. 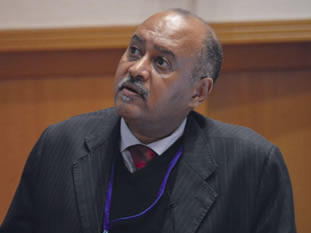 Assistance in other infrastructure projects, including power generation, has served not only to develop Ethiopia, but to integrate the economies of the region through increasing connectivity. Mr. Mehreteab’s presentation led to a discussion, in the question-and-answer period, on the role of Europe, together with China, in developing Africa, as the only way to effectively and humanely stop the migration to Europe with its high death rates. The Ethiopia-Djibouti Railway, constructed with Chinese funding, design, equipment, and operations, shrinks the trip between Addis Ababa and Djibouti from one week to ten hours. 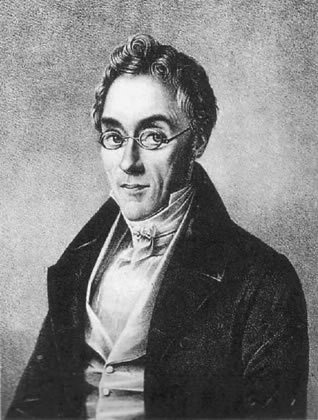 This proposal was put forward concretely by Jacques Cheminade as a task for Germany and France. Helga Zepp-LaRouche added that Italy, whose Prime Minister Renzi has recently endorsed the New Silk Road policy and opposed new sanctions against Russia, should be prominently included in the effort. Shi Ze proposed that, given the lack of any such institutional cooperation for the moment, a new “mechanism” should be developed to facilitate the new orientation. Mr. Mehreteab fully supported the proposal, and firmly asserted that Africa is no longer interested in “aid” that comes with political strings attached, “in the guise of human rights.” Rather, Africa needs capital investments, technology transfers, and investment in infrastructure. “Do not give us the fish,” Mr. Mehreteab said, quoting an old saying, “but teach us how to catch the fish.” He added that Europe should follow the example of China, which is offering investment, technology transfer, and low interest loans on normal international standards. The IMF and World Bank, on the contrary, as Zepp-LaRouche pointed out, lend to Third World countries so they can repay their debts to the international banking system, rather than investing the money in projects to ensure economic growth. Cheminade pointed to the fact that an urgent project is already on the table, which Europe and China could jointly help finance and realize, namely the replenishment of Lake Chad. The most efficient means to do so is through the Transaqua project, diverting a small portion of the waters from the Congo Basin up to Lake Chad (cf. Strategic Alert Service 14/16, 48/14). The participants expressed the resolve to act on this proposal in the near future. Participants in Essen were treated to a welcome respite from the anti-technology, anti-industry, “green” ideology that dominates the public arena in Germany. The other four German speakers, in addition to Helga Zepp-LaRouche, addressed how Germany can both contribute to the New Silk Road policy, and benefit from the new paradigm. 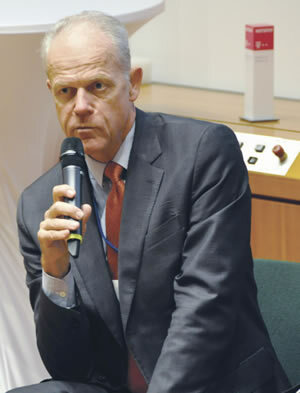 Prof. Reinhart Poprawe, Director of the Fraunhofer Institute for Laser Technology at the Technical University of Aachen, who also holds an honorary professorship at Tsinghua University in Beijing, pointed to the fact that China is no longer the producer of cheap goods for the world, but is making very rapid progress in several hi-tech frontier areas where it is climbing to the top and is on a par with Germany, Japan and the United States. Poprawe believes that Germany, with its “Industry 4.0” program, is well-positioned to cooperate with the ambitious “China 2020” program. 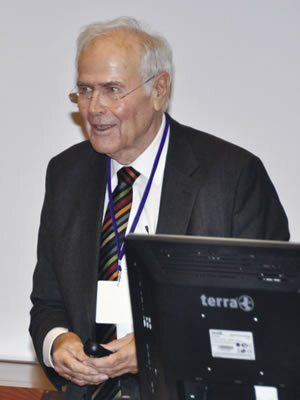 Prof. Dieter Ameling, a former president of the German Steel Association who also held top positions at the leading steel companies, presented a perspective of close cooperation in the steel and beneficiated iron sectors between Germany and China, which has now become a much larger producer. But he also warned very starkly, that if the anti-energy policy of the German government prevails, energy-intensive sectors of industry will emigrate to countries where the electricity bill is not kept artificially high because of the so-called renewables policy. Electricity in Germany already costs twice what it does in the United States, and 50% more than in France. He also strongly polemicized against the prevalent view that carbon dioxide emissions are reponsible for climate change. 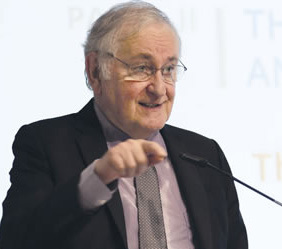 Prof. Reinhold Meisinger of the Technical University of Nuremberg, who has been a visiting scientist at Tongji University in Shanghai for many years, gave a detailed report on the revolutionary “Transrapid” or maglev-train technology originally developed in Germany, which is being used commercially on the Shanghai-Pudong track, after being scrapped at home. He indication that some of the newly-built high-speed wheel-technology trains are running and will run on tracks that are designed for future use by maglev trains. The energy consumption of a national maglev grid in China would, however, be far too big to be provided by “renewables,” which is why China is expanding its nuclear power and hydroelectric sectors. Meisinger reported that his Chinese master students at Tongji University are eager to work actively on developing new maglev systems that will run on Chinese tracks in the future. The conference was also addressed by Willy Pusch, of a citizens initiative for the construction of a new tunnel system to handle rail freight in the Middle Rhine Valley, which is a crucial segment of the Rotterdam-Genoa rail line. The proposed 100 km Westerwald-Taunus tunnel, twice as long as the new Gotthard Tunnel in Switzerland, could handle up to four times more freight than today — and that without the extreme decibels that are presently torturing, particularly at night, the population living in the Rhine Valley between Bonn and Mainz. Since these dangers are the result of human policies, she said, they can be overcome by choosing an entirely different political course. She went on to present LaRouche’s four cardinal laws to solve those problems, before going through the development and the prospects of the New Silk Road/World Land-Bridge dynamic, as she did in Essen. Professor Shi Ze’s presentation was similar to that in Essen, but he also stressed how close the partnership between China and France has been, due to the fact that Charles de Gaulle opened diplomatic relations with Beijing ten years before the other advanced countries. A particular area of interest for China, he pointed out, is setting up joint ventures with France in third countries. He also stressed repeatedly, how important it would be to make joint investments in Africa, in infrastructure, energy, and transportation, as called for in a Franco-Chinese joint statement signed in 2015. Christine Bierre, a leader of Solidarité & Progrès, reviewed the status of relations between the two countries. Paradoxically, she said, François Hollande’s policies toward China seem much better than those he applies in France! As a privileged ally of China since 1964, thanks to de Gaulle, France is sharing some high technologies with China, in exchange for “accompanying” China’s strong development. Airbus airplanes are being assembled in China, and nuclear power cooperation has been close for 30 years. On June 30, 2015, the two countries signed a statement calling for joint construction of nuclear power stations in third countries, on the model of the Hinkley Point agreement in Great Britain. Strong collaboration has also developed to reduce air, water and soil pollution, which the Chinese have made a priority. 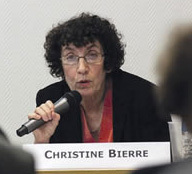 Today, in the spirit of Leibniz’s grand Eurasian design of the Seventeenth Century, Christine Bierre proposed to strengthen four other areas of cooperation as well, i.e., space exploration; the development of new generations of nuclear power (fusion, pebble bed reactors, thorium molten-salt fast reactors, and hybrid fission/fusion reactors); modernization of the rail connections; and joint Franco-Chinese projects in Africa. All that requires that France once again adopt a solid industrial policy oriented to the future. Jean-Christophe Vautrin, president of the Club China EM (Ecole de Management) Lyon FOREVER, which co-sponsored the conference, presented the activities of this club of alumni, which organizes conferences and events dedicated to Chinese economic policy, history, and culture.